Tattoos can serve as a beautiful tribute to a loved one, particularly if you utilize their image in the tattoo. However, many people find that Portrait Tattoos are often goofy looking or lumpy. There are a few reasons for that. And it is possible to avoid this problem by understanding it. Drawing an accurate rendering of a person’s face is tough. This is true whether you’re drawing or painting it. Even worse, tattoos require using a unique form of art, one in which it can be difficult to capture nuances without work. Complex facial expressions are, therefore, often difficult to manage. Try to avoid creating a facial expression that is silly or confusing for your artist to create. A simple smile should be enough. You should also avoid unnecessary decorative items unless that person was identified with a particular item, like a baseball cap. Beyond that, you should also bring many photos of the person to the session. Make sure to bring multiple pictures of your loved one from a few different angles. Why? 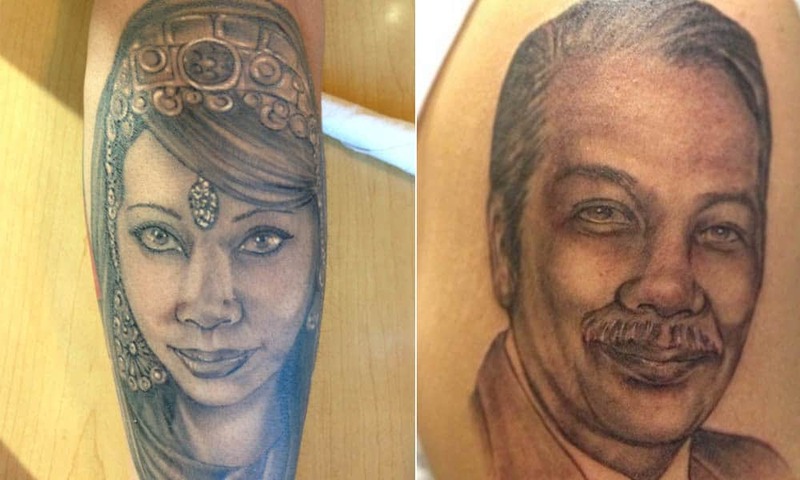 This helps your tattoo artist get a better feel for your loved one’s face and makes it easier for them to recreate it in a more accurate way that reflects your loved one correctly. Follow our blog to learn more about different tattoo styles.